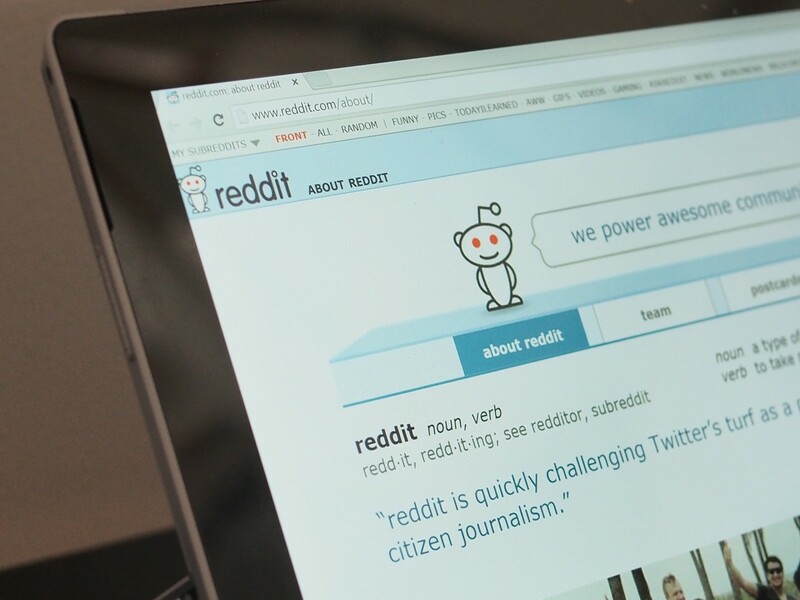 Reddit has been through a lot lately, but that doesn’t mean you should steer clear of one of the most populous forums on the Web. It’s home to countless vibrant communities sharing ideas and advice on how to get the most out of life. I’ve rounded up some of the most helpful subreddits I’ve come across during my time on the site. Need a simple answer to your complicated question? Ask it here and let the 5.7 million-member community break it down in layman-friendly terms. Hop in here to discover why human babies evolved to be so loud and demanding, what the Trans-Pacific Partnership is all about and how game developers program enemy AI. See also: If your question is more common than complex but you’re embarrassed to ask, there’s a subreddit for that too: /r/nostupidquestions. Go ahead, anything is fair game — even ‘How do afro hairdos work?‘ There are also gems in here like this one about how long the last living person on earth would be able to use the internet. Think of /r/tipofmytongue as a crowdsourced Shazam for movies, books, games and anything else your mind can forget the name of. One redditor found the name of a seaman’s ditty by posting this. See also: Got a thingamabob handed down by your grandfather or found a strange item in your basement? Post a picture over at /r/whatisthisthing to seek help identifying it. If it’s a thesaurus you need, /r/whatstheword is a good place to go. Interested in setting up your own PC from scratch? Building your own instead of buying an off-the-shelf computer allows you to customize your rig to suit your preferences and save you some cash. This community is filled with enthusiasts showing off their latest builds, discussing new PC components and sharing advice on tackling common setup issues. There are loads of resources for first-timers, including an FAQ and guides for choosing components, assembling them and adding some finishing touches like installing essential apps and overclocking your new computer. Not everyone has an innate sense of style and can consistently dress well. These two subreddits are a great place to learn about how to put together outfits for daily wear and special occasions — without having to spend more than you can afford. You’ll find regular discussions to inspire ideas for fresh looks, get shopping tips and understand the basics of grooming, makeup and fitness. I personally find the What Are You Wearing Today threads useful — users share their outfits and the best are collated monthly for easy reference. Most posts include pictures or graphics so you don’t need to be an expert to know what the communities are talking about. You’ll also find helpful tips like this ready reckoner for color combinations and this guide for a stylish outfit on a budget. I can’t say I’m fashion forward now, but I’m a lot more aware of what to look for when I shop for clothes and how I match items to wear. If your stuff is always breaking down or falling apart on you, check in to this subreddit before your next upgrade. The good folks at /r/buyitforlife discuss the most durable products that can stand up to years of rigorous use, in every category ranging from home appliances to shoes to stationery. Even if you can’t find recommended items in your local stores, the posts are worth perusing to find out which brands make quality products and what features to look out for in alternatives available near you. I personally take note of things I need and try to buy them when I travel or have someone bring them when they visit. Visiting /r/youshouldknow is like stepping into a portal of Reddit’s combined infinite wisdom concerning how to live well. You’ll find tips neatly organized into categories like finance, education, technology, travel, and food and drink. So what should you absolutely know? This simple way to clear your home of ants, a keyboard shortcut to pause YouTube videos no matter where on the page you last clicked, that you shouldn’t grow lilies if you have pet cats and where to watch Bob Ross’ Joy of Painting tutorials for free. I like to think of myself as something of a gourmet, but when I travel, I’m most curious about what locals eat in between meals. At /r/snackexchange, you can sign up to receive snacks from a fellow redditor anywhere in the world, and ship them some of your favorite goodies in return. It’s a great way to discover new flavors and make friends. Don’t worry if you don’t know what to ask for — there’s a helpful spreadsheet listing popular edibles from several countries and you can always make an open request to people from a country you’re interested in. See also: Reddit hosts several other communities (albeit smaller than /r/snackexchange) where you can trade spices, clothes, books and games. If you’re trying to lose a few pounds or getting in shape for your next marathon, /r/fitness is ready to train with you. This is a massive community with nearly four million members, so you’ll likely find answers to your burning questions in the wiki or previous threads. There are regular scheduled discussions on workouts, nutrition and supplements and newcomers’ questions. You’ll also find the community chatting about advances in fitness gear and technology, setting up home gyms and how top athletes stay in peak physical condition. Whether you’re looking for tips, inspiration or a place to share your training progress, there’s a locker with your name on it in the /r/fitness gym. See also: /r/fitness has a long list of related subreddits for specific sports and training types. I love to cook to feed myself and to entertain friends, but sometimes need more help than just a recipe. That’s when I hit up /r/Cooking, where the kitchen is open 24 hours a day for questions on everything from preparing simple one-pot meals to dealing with exotic ingredients. You’ll also find great recipes, tips on maintaining equipment, what to look for buying groceries as well as ideas to spice up your daily cooking routine. Plus, you can share your own creations and kitchen calamities with the welcoming community. See also: Visit /r/AskCulinary for more specific questions on tackling cooking challenges, like achieving the perfect coffee-poached salmon or keeping fried foods crisp for food truck service. If you’ve just scored a new phone or tablet, you’ll probably want to load it up with some quality apps. /r/AppHookup highlights discounts and free offers on popular apps for Android, iOS and OS X, so you can put your device through its paces without breaking the bank. This well-moderated subreddit lets you filter posts by platform and each one links directly to the app page so you can get straight to downloading. This is my go-to subreddit for whenever I plan to travel. /r/solotravel is full of globetrotters ready to help you get the most out of your next vacation, layover or extended stay away from home. Let people know where you’re headed or what you’re interested in to get recommendations on the best things to do and places to visit. If you’re confused about local customs at your next destination or want to know how to get there easily, simply post a question or search the extensive archives. Traveling alone can sometimes be stressful, so even if you’re not looking for specific tips, it’s worth checking out the top posts in this subreddit to follow others’ adventures and see how they coped, made friends and discovered new wonders in strange lands. If you enjoyed this list and want to subscribe to all of these subreddits quickly, visit this multireddit to find them all on a single page for easy access. Did we miss your favorite helpful subreddit? Let us know about it in the comments.